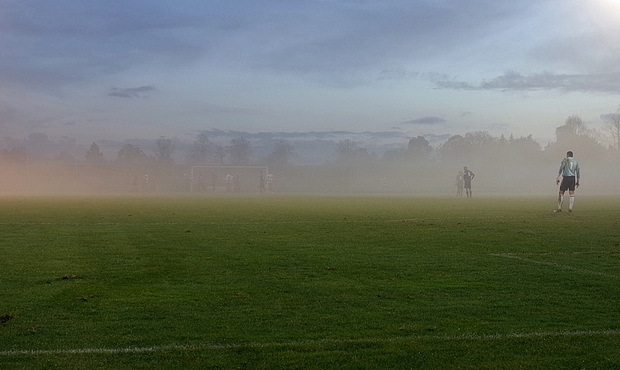 Yesterday, I travelled to Surrey to watch Dulwich Hamlet take on the Metropolitan Police FC at their East Molesey ground. 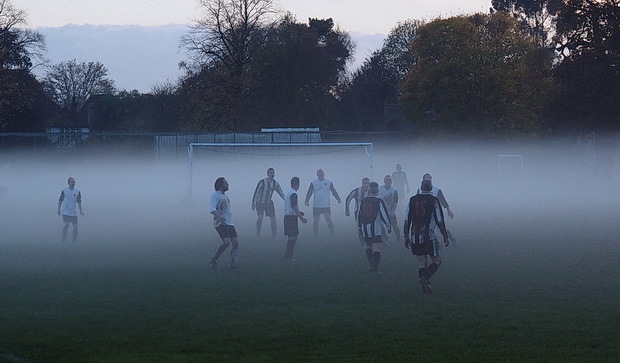 The game wasn’t that great – Hamlet lost 2-0 – but there were some dramatic scenes in a neighbouring pitch as a thick mist descended over an amateur football game. 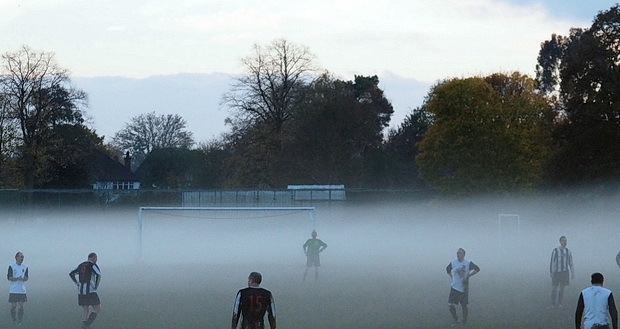 I’m not sure who was playing who, but the players gamely battled on despite the conditions. 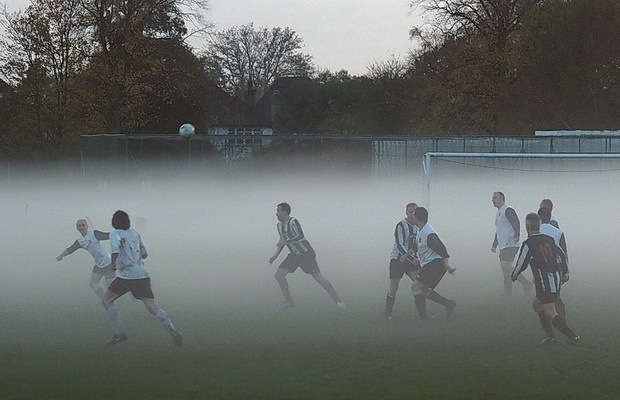 Here’s a few photos of the foggy action. 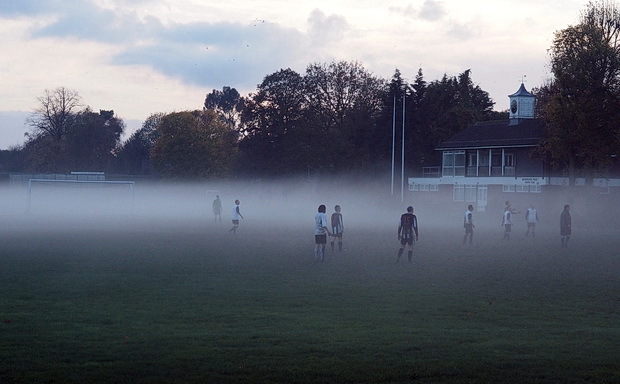 The mist lingered long after the game had finished. 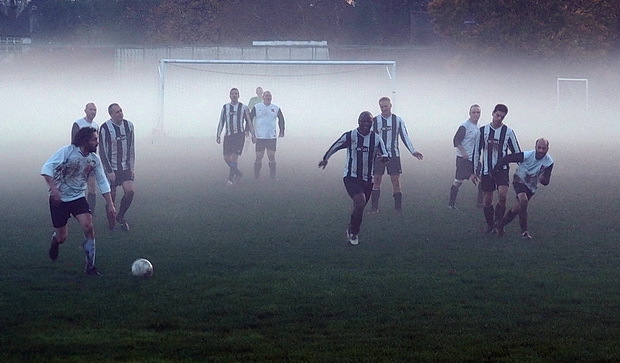 Above: photo from the Dulwich Hamlet game taking place nearby. See photo report here. Hard luck Hamlet! Dulwich Hamlet lose to Concord Rangers in Isthmian League Cup Final Isthmian League Cup Final – Dulwich Hamlet 2 Concord Rangers 3 – photo report Dulwich Hamlet thump Walton Casuals 5-0 to go top of the league Walking through the swirling mists of Ann Veronica Janssens’ yellowbluepink at the Wellcome Collection Dulwich Hamlet sweep past Tooting & Mitcham in lively derby match Dulwich Hamlet 1 Maidstone Utd 1 – honours even in top of the table clash Dulwich Hamlet push for promotion in snow-battered win over Whitstable Dulwich Hamlet clinch promotion after nail-biting draw with Burgess Hill – and Champion Hill goes wild! 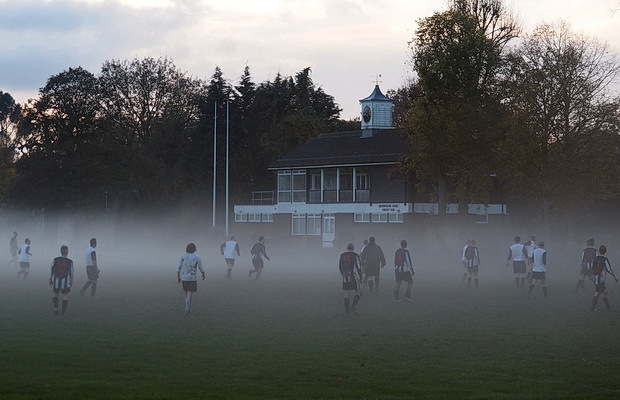 Shame about the game/result, but fantastic photos! 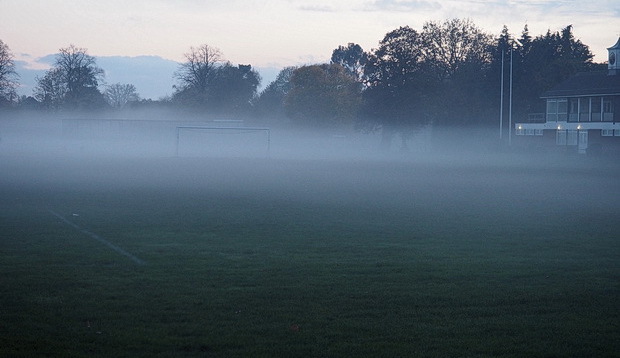 Since reading this blog I always look out for the Hamlet’s result in the small print of the Sunday papers.